To command a sizable share of your market, you need to make your business stand out from your competitors. Waiting for the customers to turn up on the launch day or hoping they will hear about you on social media isn’t going to make your startup succeed. Your business needs a very good USP that keeps pulling your target audience into your sales funnel. Here are 3 ways to help your startup rise above the noise. With over 4 billion people having access to the internet, it’s safe to say that brands are built and destroyed online. Even established organizations need an exceptional and lean online presence to stay competitive. If you’re a new or emerging business, the internet is your shop floor. You connect, acquire, and retain customers online. Which is why building an impeccable online reputation is something startups need to focus on right from day one. Your homepage assures visitors of your trustworthiness and tells your brand story in a memorable way. Your landing pages describe how your product or service can solve your audience’s problem and the benefits they get as a result (as opposed to listing features or using salesy language). Constantly educate them about your product, but don’t bore them. Make the interaction friendly and build a humanized brand. 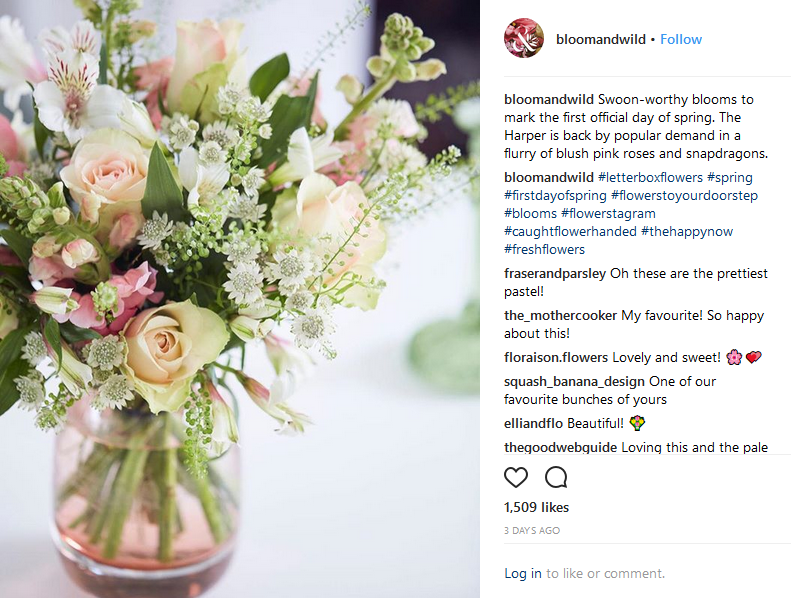 Take London-based flower subscription service Bloom & Wild for instance. Just over five years old, the company has attracted nearly 250,000 fans on Facebook, Twitter, Instagram, and Pinterest combined. They make full use of social media competitions, user generated content, positive customer reviews, and fresh seasonal content to create and maintain a substantial online presence. More often than not, unique products and services do not suffice to create brand recognition. Nor do the best technology or marketing. Superior customer service, however, can quickly set your startup apart from your competitors – and take you far ahead of their reach. If you don’t believe me, just google Zappos! A memorable customer experience leads to happy customers, who in turn, become your brand advocates. No matter if you’re an online or a physical store, word of mouth publicity is the best marketing tool out there. Always think of what extra service, however small, you can offer your customers, in order to improve their shopping experience. Saree, an e-commerce startup that sells sarees and other Indian dresses online, has come up with a unique way to make shopping with them more convenient. Their website offers a real-time video call facility for customers, allowing them to enjoy in-store shopping experience without leaving the comfort of their home. This simple idea serves to forge a bond of trust and create a loyal base with Saree’s target demographic – female shoppers looking for Indian ethnic wear. As a result, they have firmly established themselves as the de facto leaders in one of the most competitive retail markets in India. Just like Saree, you need to figure out how your brand can go the extra mile to improve customer experience, regardless of whether they buy from you or not. You can constantly monitor key terms and brand mentions and audience conversations related to your product, service, or industry in general. Tools such as SEMrush (digital marketing spectrum) or Mention (social listening) It will help you understand how people are actually using your product. Big data allows you to get the best out of the critical facets of marketing – lead generation and CRM – by giving you tools to map the customer’s journey. This way, you can create the right strategy to interact with prospects at every given touch point or stage of the customer lifecycle, and take appropriate action to nudge them further down the sales funnel. Data on purchase behavior and demographics allows you to target new customer segments and re-target existing ones with fresh and relevant knowledge. As you glean valuable insights into buyer behavior, you can personalize the shopping experience or even your product or service down to every individual customer. Bangalore based online grocery start-up BigBasket has been acing analytics and machine learning right from the beginning. They used big data and custom applications like “Smartbasket” to identify the buying patterns of customers, helping them complete their shopping quicker and easier, eventually earning their loyalty. Consequently, their customer base has grown to 4 million plus in just over 5 years. Differentiation is becoming more and more challenging for startups. In the end, it all boils down to having a great online presence, providing superior customer experience and leveraging the right technology at the right time. These actions will endear your brand to customers, investors, and the media alike.